My name is Maria Flanagan, I am coming to the end of my 3 years studying the BA Business Studies. Previous to my arrival here in 2012, I was in UCD so I’m coming from the perspective of the large university versus the smaller college. From day 1, the course became not just a study programme but a type of large get together. By this, I mean the classes were small and the lecturer knew us by name and were very approachable whenever we wanted to discuss something. We were aided and encouraged in our approach to the various projects & assignments that were part of the course. Any difficulty was rectified by an email to the lecturers in question, that was always read and responded to within a short space of time. Being in the centre of town also had the advantage of meeting friends or doing some shopping when funds were good. I’s also like to mention that the admin and the reception staff were always very pleasant when assignments were due or when printing was in demand. Needless to say,I hope I do well in my final exams but I’d be lying if I didn’t admit a little sadness that the 3 years are coming to an end. The versatile nature of the students allowed us to be educated not just on our course but also on the culture of the students who were on this course. I now have friends from far away as Mexico, Korea & Malaysia. 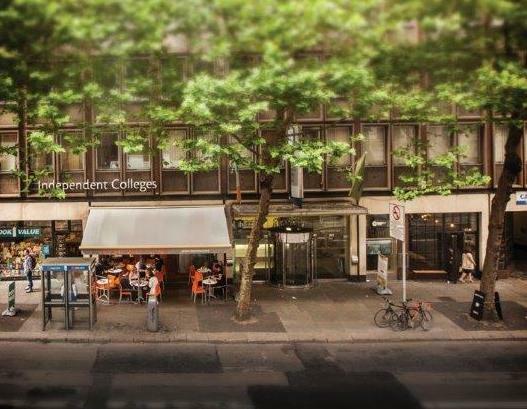 I would like to thank the staff & lectures at Independent College who have been exceptionally helpful, friendly, professional in helping me to grow and learn in my studies. I have achieved a constant 2.1 in the 1st and 2nd year of my degree, and I am now specialising in Marketing for my final year. Marketing involves an in depth examination into Brand Management, Service Marketing and Digital Marketing, two of which are taught by Dan O’Sullivan. I believe the help I got in 1st and 2nd year by Catherine O’Reilly and the help in all 3 years by Dan O’ Sullivan is what helped me to exceed and perform to my best ability. I would have no hesitation in recommending this course to anybody with a general interest in Business or Marketing. After experiencing 2 years in UCD, sitting in lecture halls with over 100 students. I can honestly say smaller classes is a better way of learning.